Groove 107.7FM Wellington, NZ: New Moby Album is Coming! 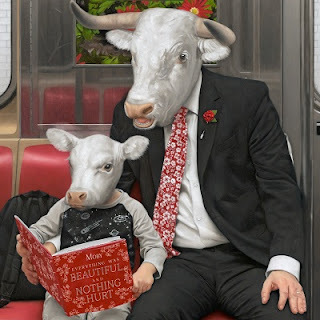 Today Moby launched his new song 'Mere Anarchy' along with its accompanying video, the second track released from Moby’s forthcoming album, Everything Was Beautiful, And Nothing Hurt due out on Friday, March 2 on Pod via Inertia Music. Reflecting upon the video, Moby describes it as “post apocalypse, people are gone, and my friend Julie and I are time traveling aliens visiting the empty Earth.” Watch below. Moby has curated a playlist of artists that influences the recording of Everything Was Beautiful, And Nothing Hurt. This playlist will also be the first place fans can hear new Moby music. Listen and subscribe here. Physical formats of Everything Was Beautiful, And Nothing Hurt include a double LP edition and a 6-panel CD digi-pack edition. During 2016, Moby released the critically-acclaimed Porcelain: A Memoir that traces his rise to international stardom. When he's not recording music, Moby continues to champion animal rights and sustainability via his activism and vegan restaurant Little Pine. The instrumental components of 'Mere Anarchy' are also available for would-be remixers. VisitSplice to download the stems and get to work on your own remix - along with the stems of the first single, 'Like A Motherless Child'.